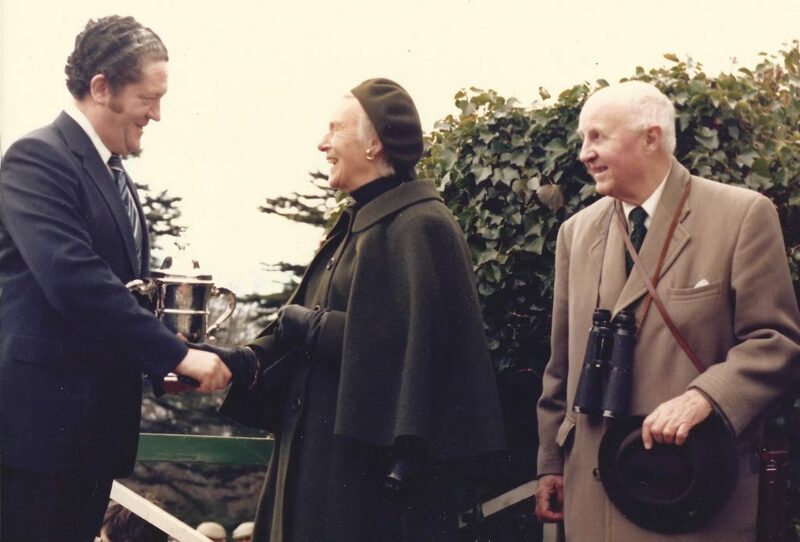 Lord and Lady Donoughmore being congratulated by Brian Lenehan, after their horse Orchestra won The Rank Cup at The Phoenix Park and became the first winner for John Oxx in 1979. John M Oxx qualified as a veterinary surgeon MVB, MRCVS and acted as assistant to this father John Oxx (Senior) until 1979, when he then took over the training licence at Currabeg stables. John had his first winner within the year with Orchestra, who was owned by Lord and Lady Donoughmore. Orchestra later went on to win the Whitehall Stakes at The Phoenix Park, thus providing John with his first Group winner within his first year of training. Currabeg stables has sent out almost 2000 winners, including 152 Listed winners and 137 Group winners. Among these are 37 Group 1 wins. 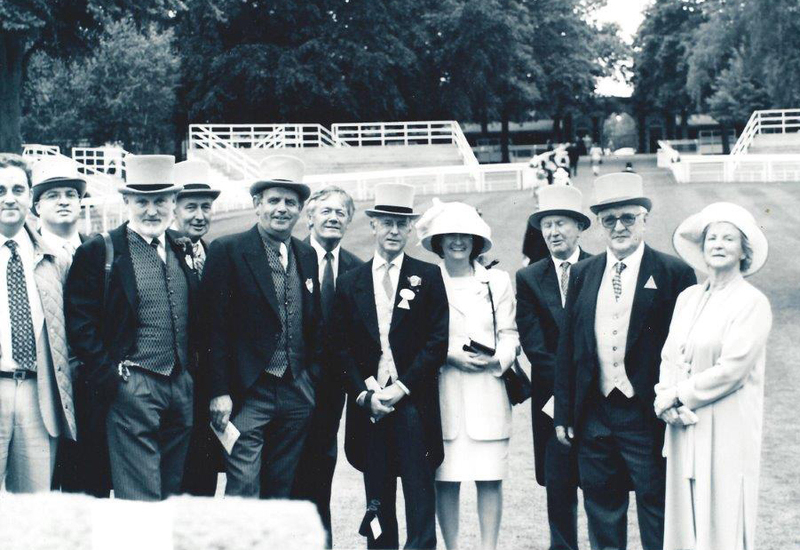 From those early days of training from such owner breeder greats as the Donoughmores, the Laidlaw Family, Mrs Beaumont of Harristown, Sir Michael Sobell, Walter Haefner of Moyglare Stud, the stable evolved and Mr G.W. Jennings and Mr Jean-Francois Malle provided the first classic winners in Eurobird and Petite Ile respectively to be followed shortly afterward by Sheikh Mohammed Bin Rashid Al Maktoum’s Flamenco Wave (GR 1) and Mrs Anne Coughlan’s Ridgewood Pearl who won four Group 1 races in 4 different countries, including the Breeders Cup Mile. Sheikh Mohammed had also been a long time supporter as was Lady Clague, HH Aga Khan and The Tsui Family, all of whom provided important Group 1 winning horses for the stable, culminating in the victories of Sea The Stars for Mr Christopher Tsui. The longest standing owner of the stable is The Dundalk Racing Club under the leadership of Mr Colm McCourt and they demonstrate that all can be involved in horse ownership and the fun of going to the races. Please click here for a comprehensive list of major winners and awards.